Indulge in Stoughton's culinary scene. With over 30 restaurants, cafes, and cocktail lounges, we aren't short on options. Visit the Nauti Norske's beautiful patio overlooking the river (open when the Wisconsin weather allows), or stop by Cheeser's to sample homemade Wisconsin cheese. Our variety of restaurants in Stoughton, from American grub to Norweigan cuisine, will be sure to satisfy all of your cravings. 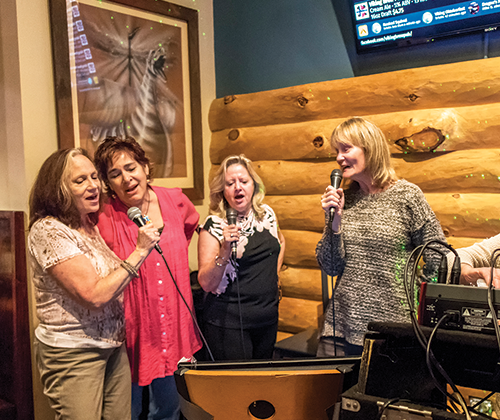 SUBSCRIBE TO OUR MONTHLY EMAIL NEWSLETTER TO STAY UP TO DATE ON THE LATEST HAPPENINGS IN STOUGHTON! 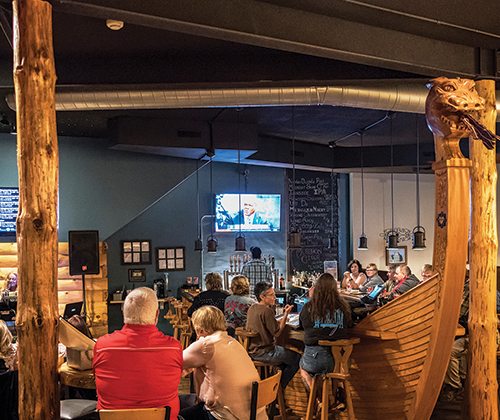 Inspired by the late Stoughton native, Duane Brickson, and owned and operated by his son-in-law and daughter, Vik and Lori Malling, Viking Brew Pub is a bar in downtown Stoughton that is built to look like the exterior of a Viking's ship! The dragon head of the ship even spews smoke at the push of a button.